When an author passes on, sometimes they’re survived by the uncompleted work they left behind, released as a tribute to their memory. That won’t be the case for the dearly missed Sir Terry Pratchett, however, who declared before his death that his final works would never be released—and that wish was granted in style. 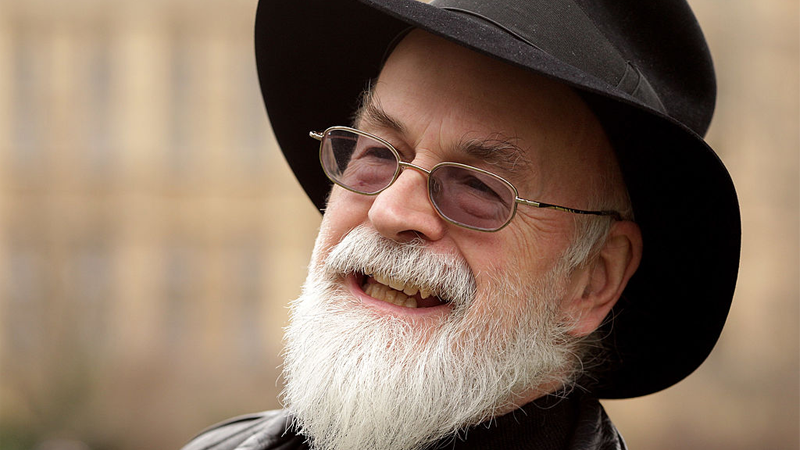 Despite the destruction however, you will be able to see Pratchett’s final works on display, in a certain way—the smashed remnants of Pratchett’s hard drive will go on display at the Salisbury museum in Wiltshire, England in September, as part of an exhibition about Pratchett’s life and work. It might be sad to realize that this definitively means there’ll never be another Terry Pratchett novel for the world to enjoy, but it’s still a heartwarming moment to see one of the author’s final wishes realized, in a wonderfully quirky manner befitting the beloved writer. Rhianna Pratchett Remembers Her Father Terry: "He Didn&apos;t Teach Me Magic, He Showed Me"